The method of cultivations is important for the amount of beneficial substances in potato. Purchase potato tubers for planting to avoid viruses. To harvest early, let them sprout in a light protected place with at least 15 °C (6 in). Plant the un-sprouted potatoes when the soil temperature reaches at least 8 °C (46 °F). At least 80 cm (31 in) between rows and at least 50 cm (20 in) between plants in a row. Early potatoes need 20 cm (8 in) less distance. When the soil gets warm enough. The early sorts in February. Plant till June and take care of moisture and mulching. It germinates in two to four weeks. It needs a lot of nutrients. Its taste is best if home compost or mature barn manure is used. In the time of tuber growth, water regularly, preferably in the morning. Legumes (bush string beans, bush peas, broad beans) and spinach (between rows), kohlrabi, Savoy cabbage, parsnip, Indian cress, tagetes, phacelia, calendula, mint, sunflowers, flex, cumin. Make sure not to damage the tubers. Store in a moist and cool place. Use tubers that have a high energy value due to starch. They also contain a lot of vitamins and minerals, which are at least partially kept even after boiling or baking unpeeled potatoes. 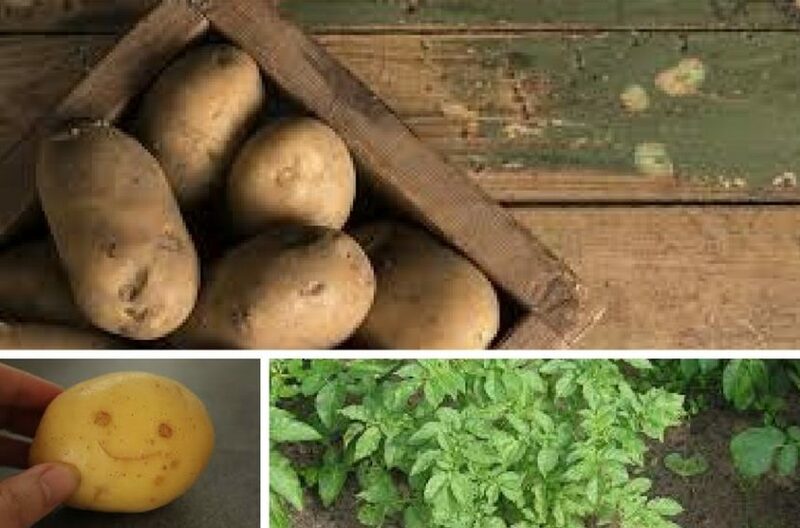 Excess fertilization with nitrogen makes potato too starchy. Potato is considered either a garden or a field crop.